I love those evenings when you have no plans but you’ve worked really hard all day at work, and the sun is shining and it’s seems such a shame to not do anything fun. 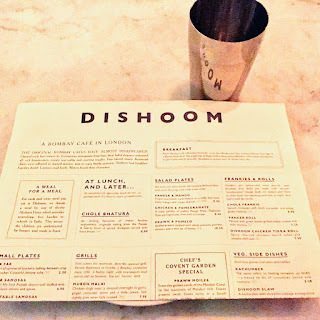 Luckily my friend Nat was meeting her friend Neive and they invited me to join for drinks and dinner at Dishoom last Thursday. 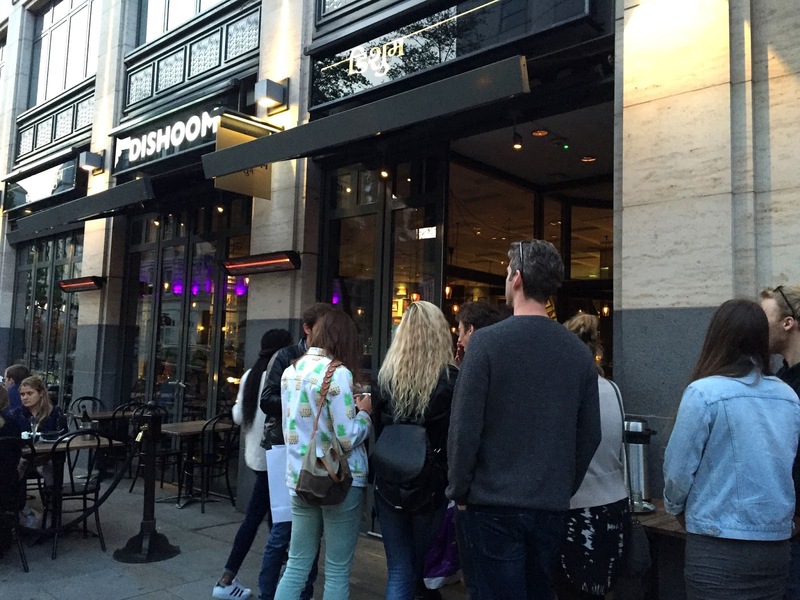 We headed over to Covent Garden, sticking up on some mini bottles of prosecco to enjoy during the queue. Despite said queue, they don’t leave you out in the cold with no acknowledgement – we were served small glasses of a salty lemon drink and some warm chai tea. Everything is very well planned and timed to perfection so they were sure we wouldn’t be waiting longer than suggested. 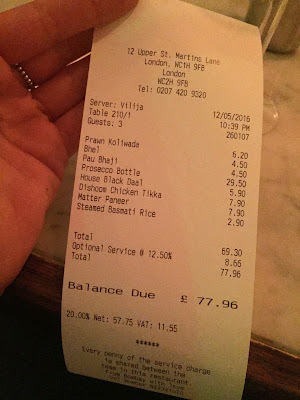 In actual fact we were pleasantly surprised to be seated as soon as we headed towards the bar area – we had sneakily mentioned it was the start of Nat’s hen do so perhaps that’s why! Their faded elegance welcomed all: rich businessmen, sweaty taxi-wallas and courting couples. Fans turned slowly. Bentwood chairs were reflected in stained mirrors, next to sepia family portraits. Students had breakfast. Families dined. Lawyers read briefs. 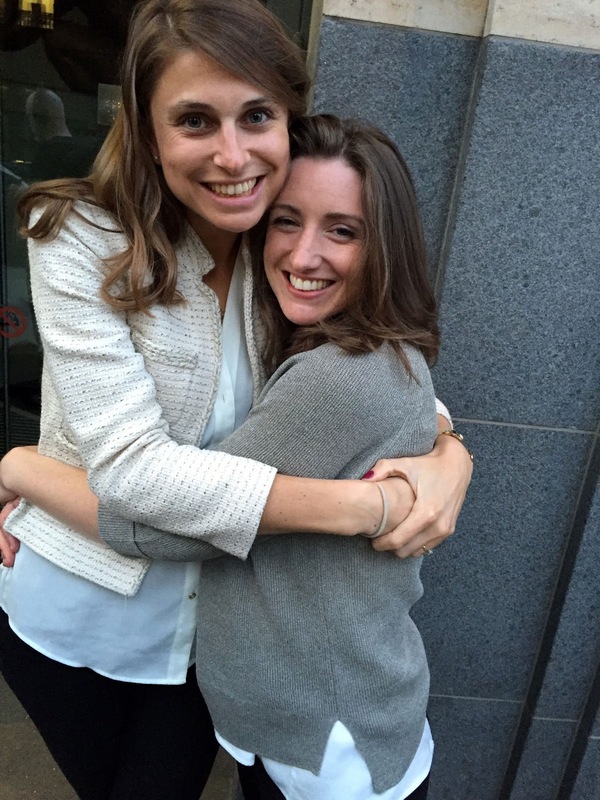 Writers found their characters. Prawn Koliwada; Bombay’s Koli (fishermen) Wada (district) recipe: a bowl of delicate, crispy morsels with tamarind and date chutney. Bhel; cold and crunchy, light and lovely. Puffed rice, Bombay Mix and nylon sev tossed with fresh pomegranate, tomato, onion, lime, tamarind, mint. Pau Bhaji; A bowl of mashed vegetables with hot buttered pau bun, Chowpatty Beach style. No food is more Bombay. 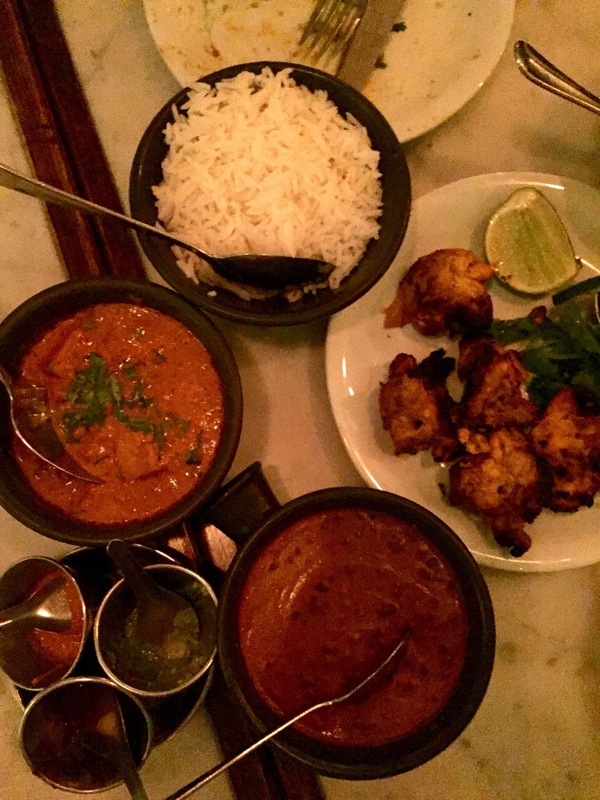 Black House Daal; A Dishoom signature dish — dark, rich, deeply flavoured. It is simmered over 24 hours for extra harmony. 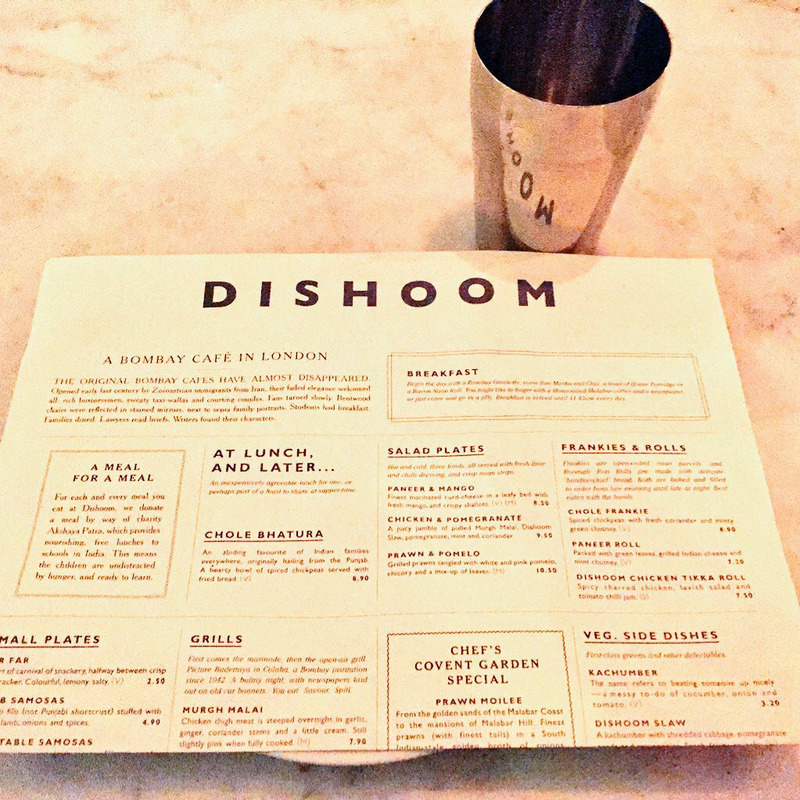 Dishoom Chicken Tikka; A family recipe, using a marinade of sweet vinegar, not yoghurt. Laced with ginger juice, turmeric, garlic and green chilli. Matter Paneer; A steadfast and humble vegetarian curry, the sort that can be found in any good Indian roadside restaurant. Reaaaaallly good. 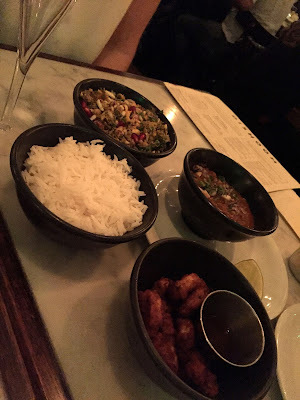 I was pleased to go with someone who had been before, as Neive ordered for us – the perfect amount to share and enjoy. 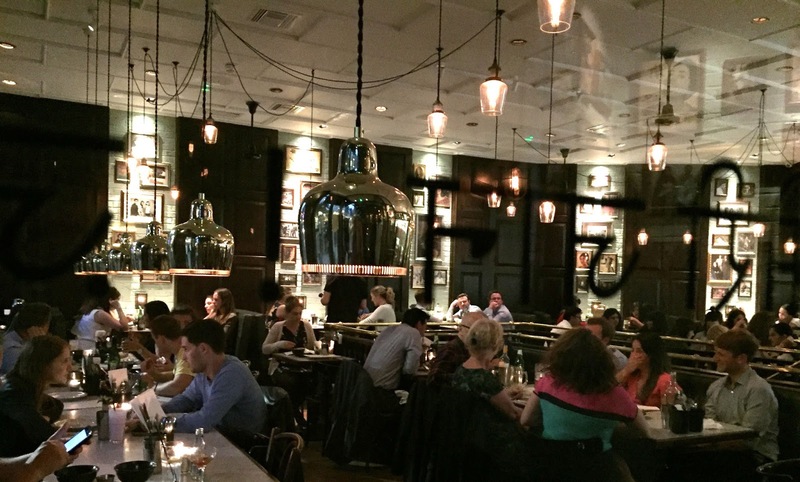 It was good – quite dark but great atmosphere and the waitress was very helpful. We had a bottle of prosecco and shared all the food, cost us £26 each including service charge. Yeaaahhh, Carnaby Street, Shoreditch, Covent Garden and King’s Cross. Check them out. You can prepare varies type of hero paper by different way or your own style. Suddenly any client can question you how to write a my hero paper? If you keep deep knowledge about hero paper, your answer will be better.